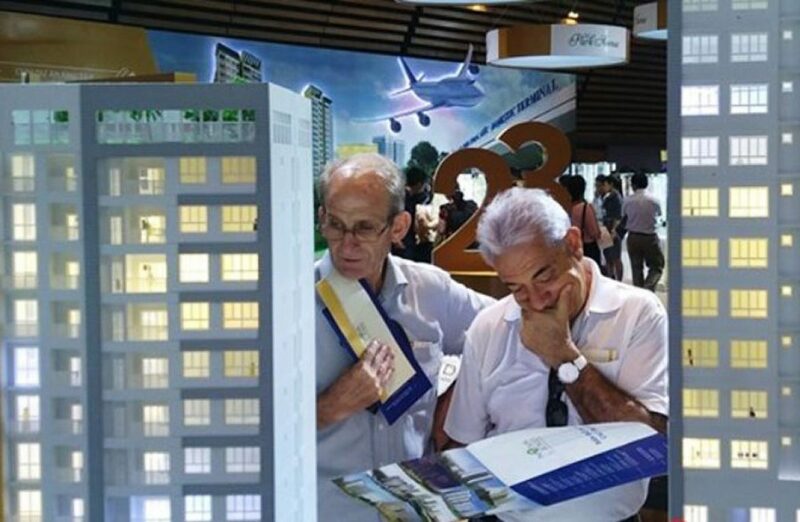 Foreigners buy a house in Vietnam: Still waiting for Department of Construction! “The last job is to identify commercial housing projects in which foreign individuals and organizations are not allowed to own houses and publish such information online, However, the provincial Department of Construction has not shown any progress on its part, “the report by the VBF Trade and Investment Working Group emphasized. A report by the Trade and Investment Working Group at the Vietnam Business Forum (VBF) in 2017 states that Vietnam has made great strides in creating a friendly investment environment for business people in domestic and foreign, and their families can work safely and comfortably. At the same time, school and hospital services have improved significantly. Entertainment activities also have more choices. However, the group also emphasized that one factor that proved difficult to achieve was home ownership. “Although regulations have allowed the sale of certain types of apartments and villas to foreigners, there are no promulgated implementing regulations in a timely manner, leading to the occurrence of out of many confusion and risk in the market, “the group cited. Further, the report argues that the biggest problem now is the implementation of restrictions on the ownership of foreigners’ housing in Vietnam, which may affect the right to own houses of foreigners in Vietnam. Additional Evidence Group, Housing Act 2014 allows foreigners to own houses in Vietnam, effective July 1, 2015; Decree No. 99/2015 / ND-CP (Decree 99), effective from 10/12/2015, also details the mechanisms for the implementation of housing ownership of foreigners in Vietnam; Decree 99 also requires the Ministry of Public Security (MPS) and the Ministry of Defense (MQP) to specify specific areas for security and defense and to inform provincial people’s committees. Accordingly, provincial People’s Committees must base on the above guidance documents of the BCA and the Ministry of Defense to direct the provincial Department of Construction to identify commercial housing projects that are not permitted to own houses by foreign individuals and organizations. “These things show that the government is looking forward to making things better.” Now, the last job is to identify commercial housing projects where foreign individuals and organizations are not allowed to own homes and Disclosure of this information on the Internet will now be made by the Provincial Department of Construction. However, the provincial Department of Construction has not shown any progress on its part, “the report by the Investment Working Group and Trade emphasized. Another significant issue highlighted by this group is the technical constraint to the registration of home ownership. Specifically, the number of apartments owned by foreigners in an apartment building is limited to 30%, but the Ministry of Construction and its local departments have not yet applied a system that is necessary to Register and monitor the number of apartments owned by foreigners in a certain project. “So the secondary market has been frozen completely,” the group asserts in the report. “In most cities and provinces, there seems to be no system for changing the type of Vietnamese property ownership to foreigners once the property has been sold to local people. It is hoped that these issues could be resolved soon so that the market can begin to function normally, “the team said. You are reading the article Foreigners buy a house in Vietnam: Still waiting for Department of Construction! in the Real Estate category at https://realestatevietnam.com.vn/. Any information sharing, feedback please contact through Hotline 0909890897 (24/7) or email to info@realestatevietnam.com.vn.